Margery organises charity, arts and educational events. 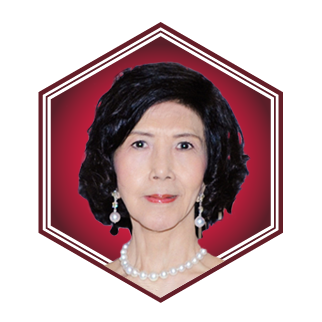 She is the mother of Denise and Debra Lo, and carries out a great deal of charity work. Amiable and elegant, she is a popular society figure and is fond of cooking.